Does it really have to be this difficult? I heard myself say out loud. Thank goodness this “self discussion” was going on in the comfort of my own home and not in the middle of my local grocery store is all I have to say. Not only did I talk to myself out loud, I’m quite certain that I clapped & jumped with glee over the idea of a watermelon feta flag as it popped into my head. And blueberries! Don’t forget the blueberries! We just went to Berryfield Farms and picked blueberries so this year my flag will be embellished with delicious, fresh off the bush, blueberries! 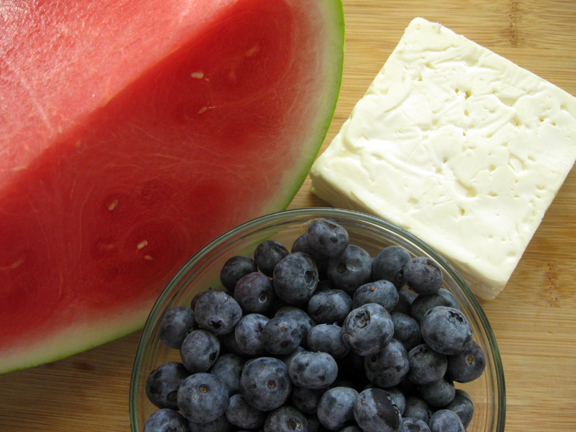 I adore watermelon and feta. Have you ever tried it? Sweet & salty, creamy & juicy. The flavors compliment one another in a way that will make your mouth sing (or maybe even talk out loud). My Yanni introduced me to this decadent duo years ago while on our honeymoon in Greece. And you know what they say,”when in Greece…” so I gave in and instantly fell in love! These are the fresh and gorgeous ingredients. I just love the colors and textures together. 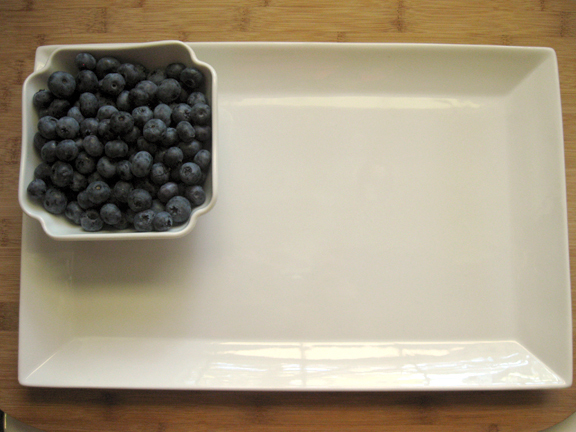 Next you’ll need a platter, preferably a rectangle but an oval would work too and a small bowl. Pour the blueberries into the bowl and place at the top left corner for the stars. 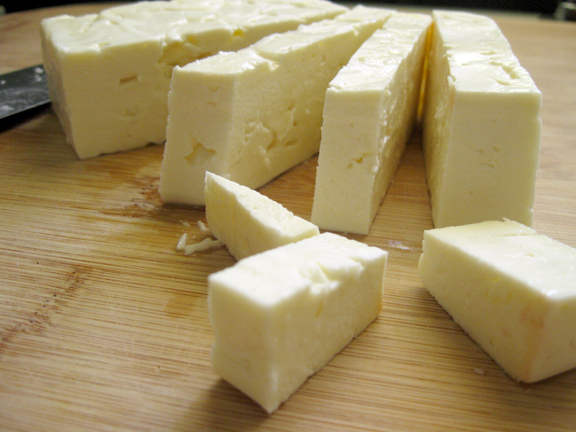 Next, slice your feta because feta makes everything “betta” (at least that’s what I think). 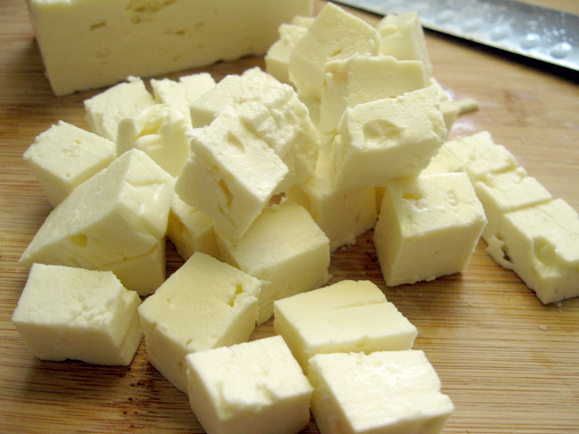 I used one 8oz square of feta. Don’t ya just want to pop one in your mouth? 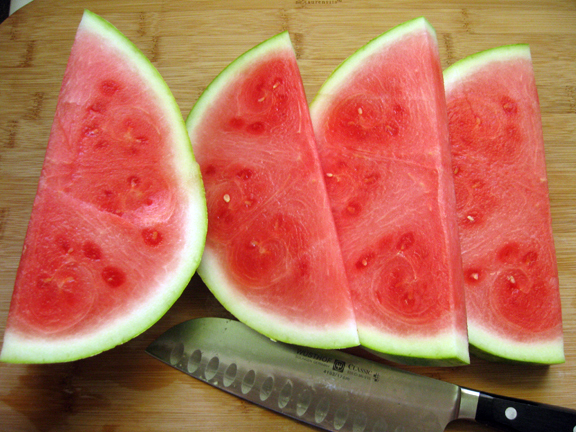 Next, the watermelon. I used half of a seedless watermelon. As a far as quantity goes for this recipe, it depends on the size of the platter you use. It’s always better to have to0 much than too little because my family is always lurking about ready to dive in, therefore the extras come in handy (don’t mess with mama’s stars & stripes). 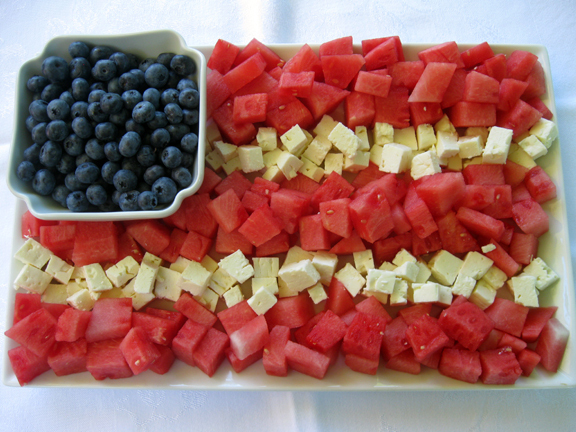 It’s all about the stars & stripes when making a watermelon feta flag ya know. 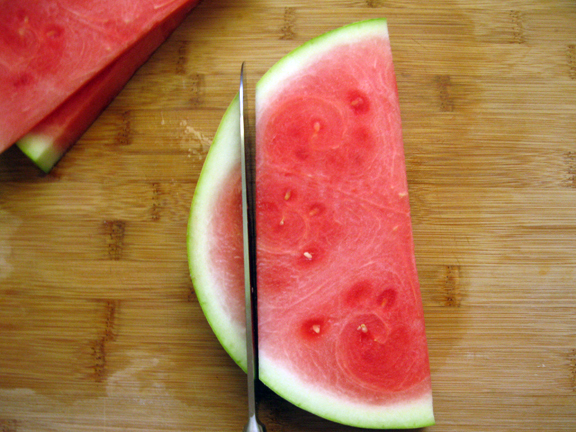 So cut your watermelon into slices. 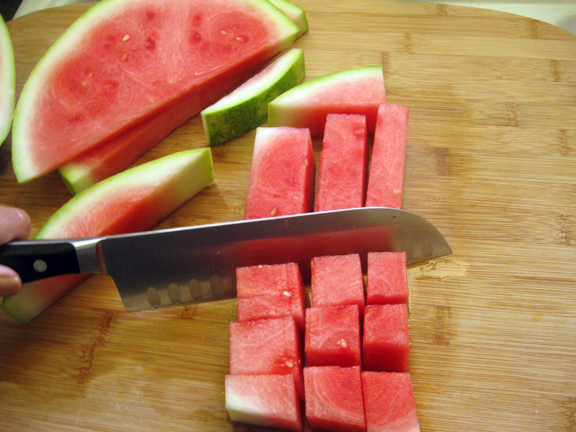 Cut the watermelon int to strips. 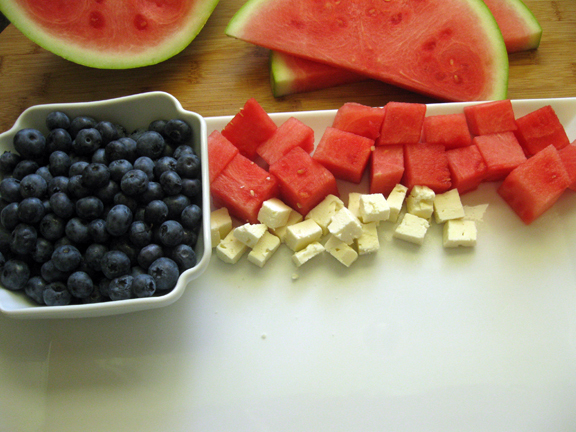 and place the watermelon and feta into pretty rows starting with the watermelon until you fill the platter! 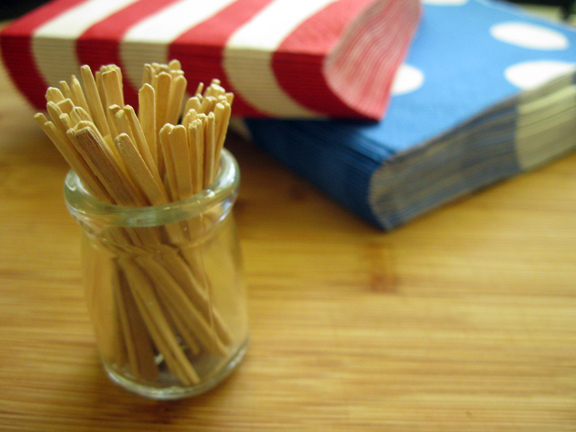 Now don’t forget cute little toothpicks for easy not to mention healthy handling of the goods! 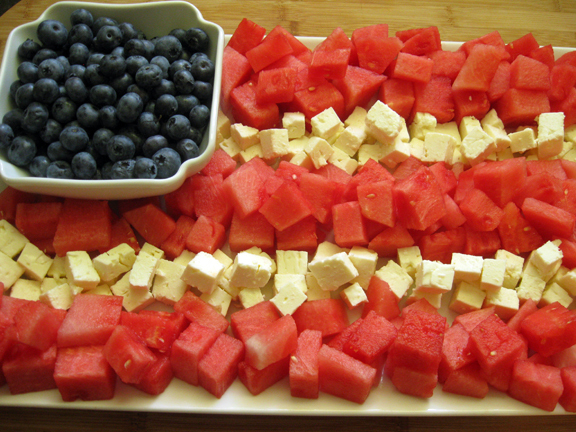 And that is my easy peasy patriotic no hassel 4th of July watermelon feta flag! Hope you enjoy a lovely holiday weekend! I have not tried this, but can’t wait to. I never thought to put the two together. Wonderful idea and I love the presentation! You make my mouth water everytime. I NEVER miss a post…. and it always makes me think, Your girls, And Yanni, have it MADE……. Toothpicks? You mean this serves more than one? 😉 ‘Cause I would eat it all by myself! Just beautiful, my three favorite ingredients – three! What dish has three ingredients, I ask you! This dish will definitely be seen again at Harrington picnic events. Thanks! I don’t know how I missed this last week. I wish I would’ve seen it too because it would’ve been perfect to take to a cookout we went to on Saturday! Oh well, there’s always next year. Or maybe I can create another shape out of the ingredients? Maybe we can have an archery party and instead of a flag it could be a bull’s eye? Hey, I’m just trying to be creative here. Work with me. adorable and yummerz . . . that salty-sweet combo always gets me! what a fun and delicious idea!! This is SUCH a wonderful combination of ingredients, yum. I really love this idea! The flag cake recipe is getting old! 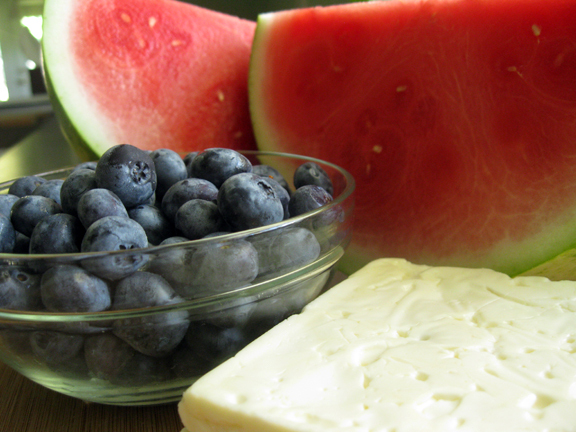 But I love feta cheese, love watermelon, and blueberries. It is a win, win. Thanks Wenderly. I am going to use this. Great idea! I’m doing this with pepperoni, white cheddar cheese, and black olives in a blue square bowl. I cannot wait to make this tomorrow! I’m writing to request permission to use your photo of the 2010 post: Patriotic Watermelon & Feta Flag on my blog, this Tuesday 7/2/13. If this is fine with you, I will link the photo to your blog page. I’m a newbie blogger, so I wanted to get permission prior to posting the photo. Thank you! white. I know someone suggested pineapple but if you want to go with the red, white, and blue theme bananas are it!! !